Taxi series since 1990. 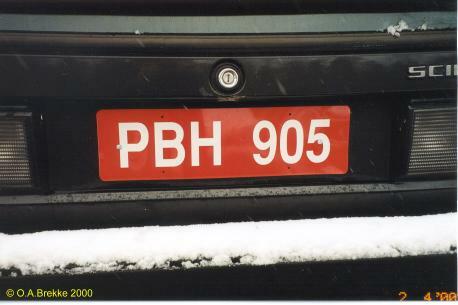 1990-93 plate style. Registration from the normal series with the addition of a T = Taxi (until 2017). Taxi series since 1990. 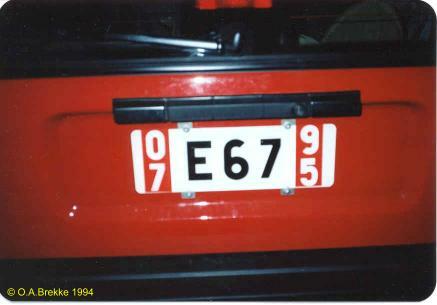 1994-2001 plate style. 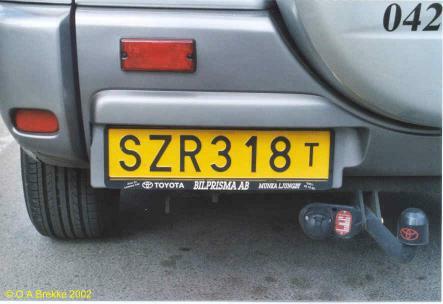 Registration from the normal series with the addition of a T = Taxi (until 2017). Taxi series since 1990. 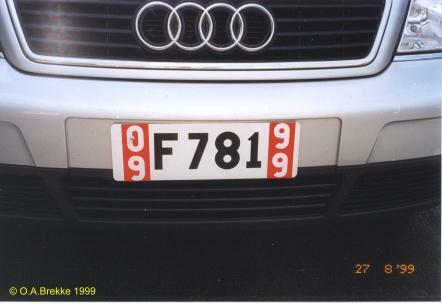 2002-13 plate style. Registration from the normal series with the addition of a T = Taxi (until 2017). Personalized taxi series since 1990. 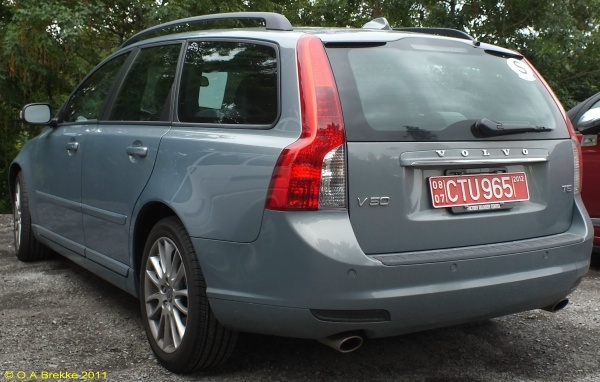 2002-13 plate style. 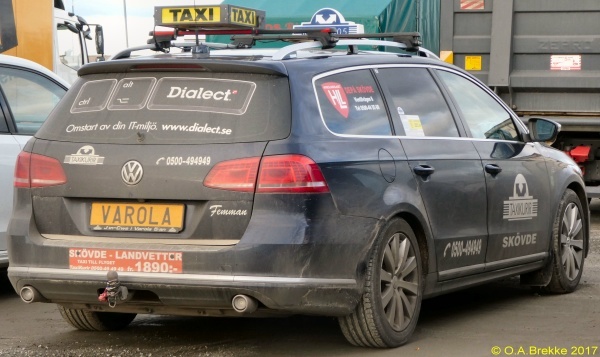 Yellow plate = Taxi. Normal series 1906-72. S = Värmlands län. 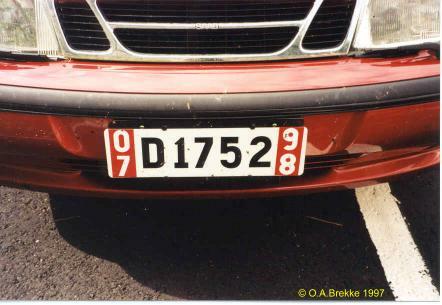 Since the end of 1973 these plates are no longer valid, but the driver of this vintage car had apparently switched to the old plates while taking part in a rally in Norway. 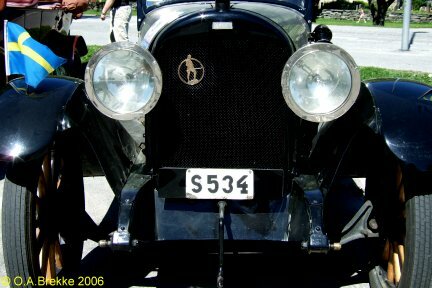 Normal series 1906-72. AA = Stockholm city. 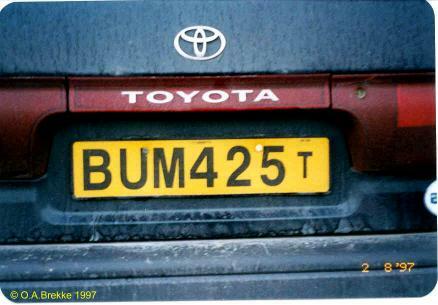 Since the end of 1973 these plates are no longer valid. 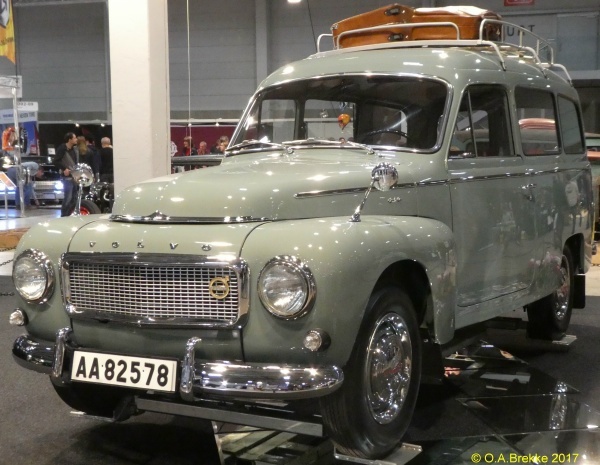 Export series 1966-2001. Since 1975 the letter indicated the customs region. E = Göteborg (Western customs region). Valid until the end of July 1995. Export series 1966-2001. Since 1975 the letter indicated the customs region. F = Göteborg, previously Östersund (Western customs region). Valid until the end of September 1999. Export series 1966-2001. Since 1975 the letter indicated the customs region. D = Uddevalla (Western customs region). Valid until the end of July 1998. Temporary tourist series until 2001. Since 1975 the first letter indicated the customs region. Dated since 1988. Four numerals in some regions since 1986/87. D = Uddevalla (Western customs region). S = Sweden. Valid until the end of September 1997. Personal import series 1989-2001. 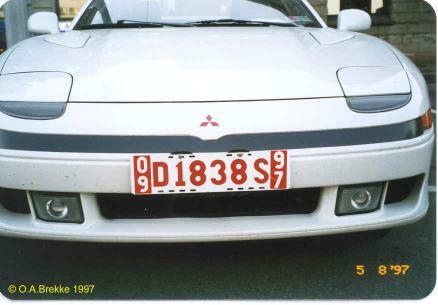 1993-2001 plate style. No coding. Temporary series since 2001. 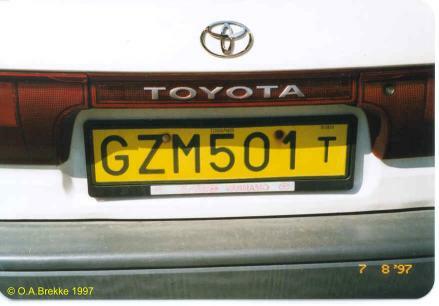 2001-13 plate style. Registration from the normal series. No coding. Valid until July 8th 2012.